James Bond - The Secret Agent: I just dont understand this dust-wrapper? I will never be able to afford a first edition of LIVE AND LET DIE from Jonathan Cape in 1954 since these sell for around £8 750. 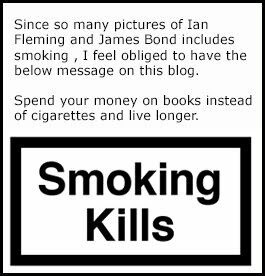 Or I can afford it but I would not be able to say to myself that I have control over my James Bond collecting and it would be hard to look my wife in her eyes afterwords. There is so much you can do with that amount of money. But today's blog post is about the dust-wrapper for LIVE AND LET DIE. Since I have a second impression edition I thought that I might be able to buy a first edition without its dust-wrapper and then take the jacket from my second edition to make it complete and save some money wile doing so. But on the backside of my dust jacket it says "second impression" and the wired thing is that it says so on the first edition as well and that is so strange? Does the backside of LIVE AND LET DIE refer to Casino Royale being released as a second impression in time of the release for LIVE AND LET DIE? If so, why do they even mention it on the dust-wrapper? And if you do know the answers to these questions can you also tell if the dust-wrapper is identical between the first edition, second state and the second impression? 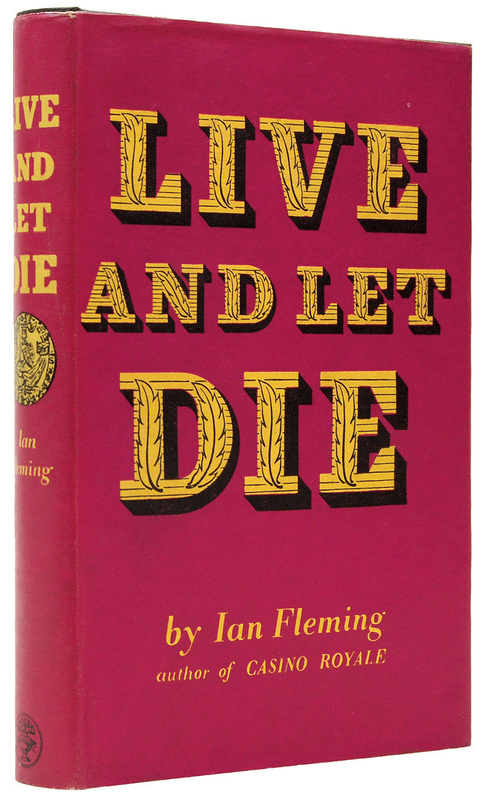 Now if you have both the money and the need to spend £8 750 on a single book then you can buy the LIVE AND LET DIE first edition buy clicking here!